SQL Soundings: "Select Top 1000 Rows" Doesn't Show SPARSE Columns? "Select Top 1000 Rows" Doesn't Show SPARSE Columns? 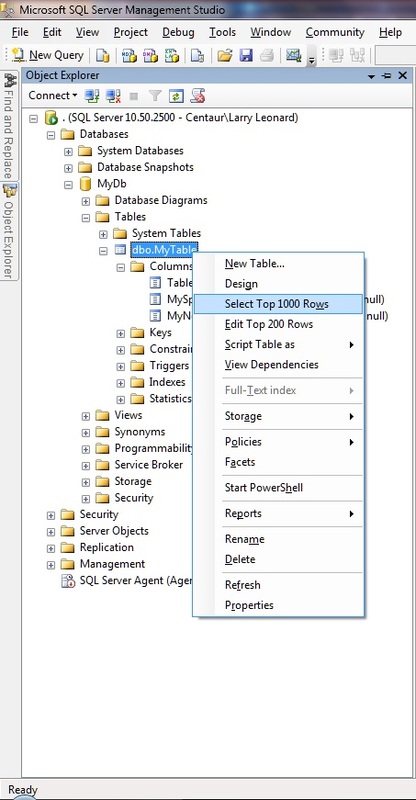 A colleague pointed out something I'd never noticed about SQL Server Management Studio's (SSMS) "Select Top 1000 Rows" feature: it doesn't display SPARSE columns. 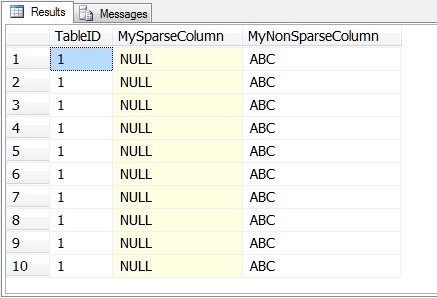 This is not a bug, but rather by design: SQL Server tables can have up to 30,000 SPARSE columns: imagine the issues with viewing thousands of columns at a time! 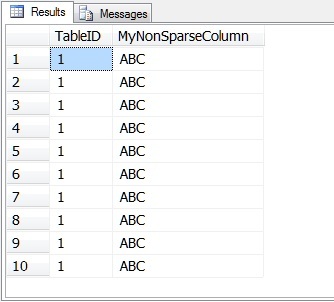 The annoying thing, however, is that no matter how few columns a table has, not even a single SPARSE column will be displayed. To workaround this limitation, I've written a script that creates views for all tables with SPARSE columns. 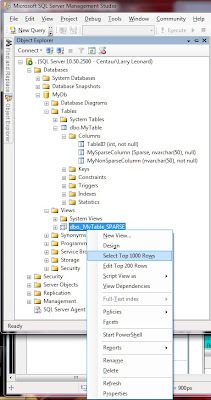 Since views don't suffer from this limitation in SSMS, you can use "Select Top 1000 Rows" on them to effectively see all the columns on the table. I personally run it as a "startup script", just to semi-automate the maintenance of re-creating the views when tables change over time, but it could just a easily be set to run as a SQL Agent Job, or manually if desired. -- Since tables can be added, modified, and deleted, start with a clean slate. 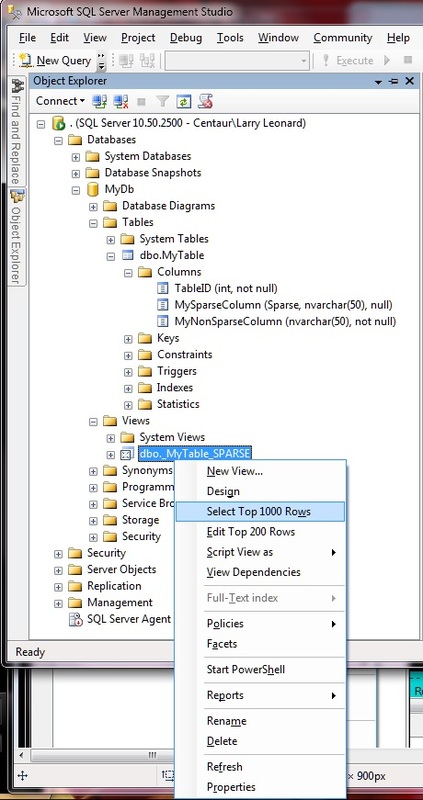 -- Iterate through all tables and create view for those with SPARSE columns. -- Set up test table. ... even the SPARSE ones.